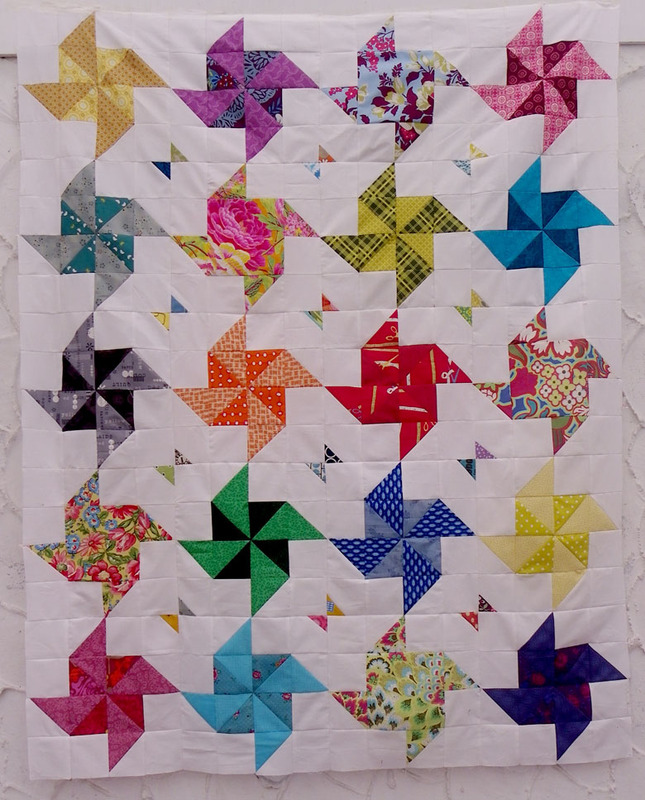 "When I think of simply constructed quilts, I always think of those made just from squares and half-square triangles; the permutations are endless. 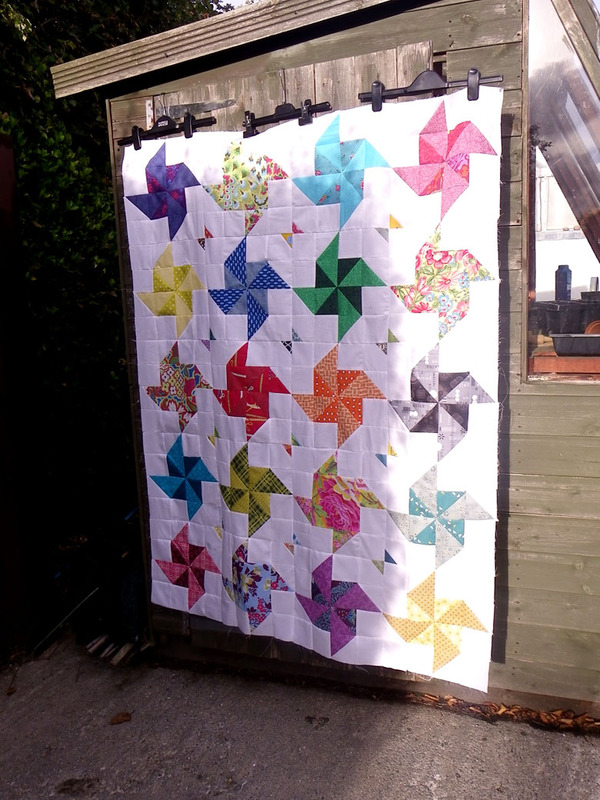 And I've always thought the pinwheel block had lots of possibilities to do something fun with so that's how this next quilt came about; and I've even managed to remember to document the process if you want to have a go too. I chose to make two difference pin wheel blocks."